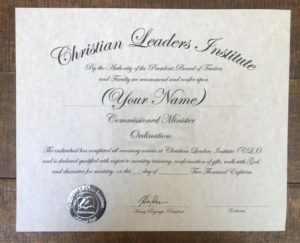 Christian Leaders Alliance partners with Christian Leaders Institute for a guided process of ordination. 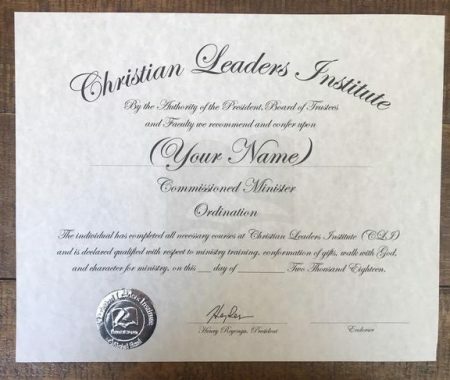 The process is not like an online ordination where you order ordination documents and they just come in the mail for a certain price. This guided ordination process starts with your calling. The process brings you to generosity-driven free ministry training with Christian Leaders Institute. 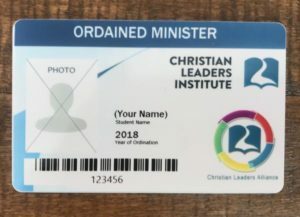 Then, you can either become a licensed wedding officiant (4 Credits) or become ordained after more training as a Deacon Minister (7 Credits). You will have to get recommendations from people in your community that confirm your gifts and calling to ministry. 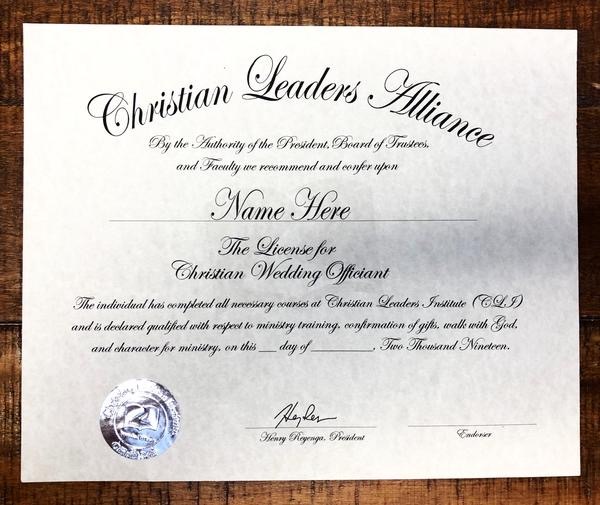 Then as a Deacon Minister, you will be ordained with the Christian Leaders Alliance and listed on our digital Global ordination directory. This guided process is generosity-driven by generous gifts to these ministries. After your ordination, you may continue for further study in specific minister roles. 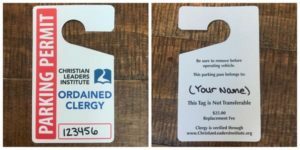 If you want optional phycial ordination documents sent to your house, here are our published fees. 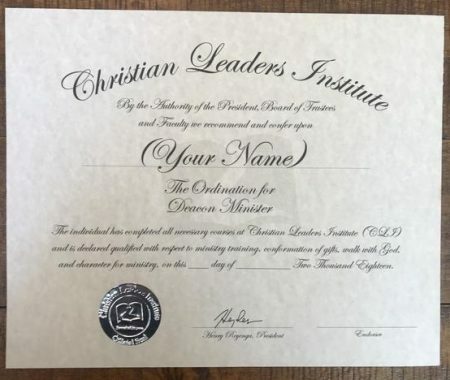 You are NOT required to purchase these documents to be ordained with the Christian Leaders Alliance and included in our global directory. Don't Forget! Each of these programs also provide high quality online courses valued at $600 that we offer absolutely FREE for you! Want just one part of the package? order a part separate below!